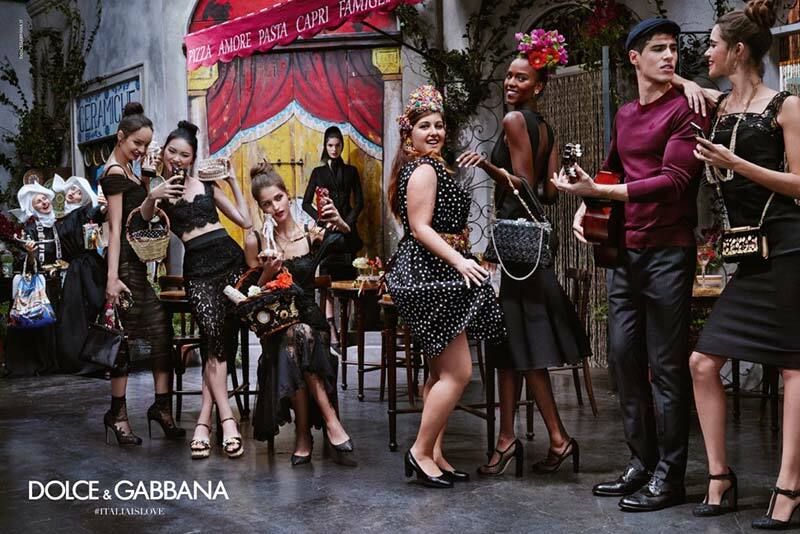 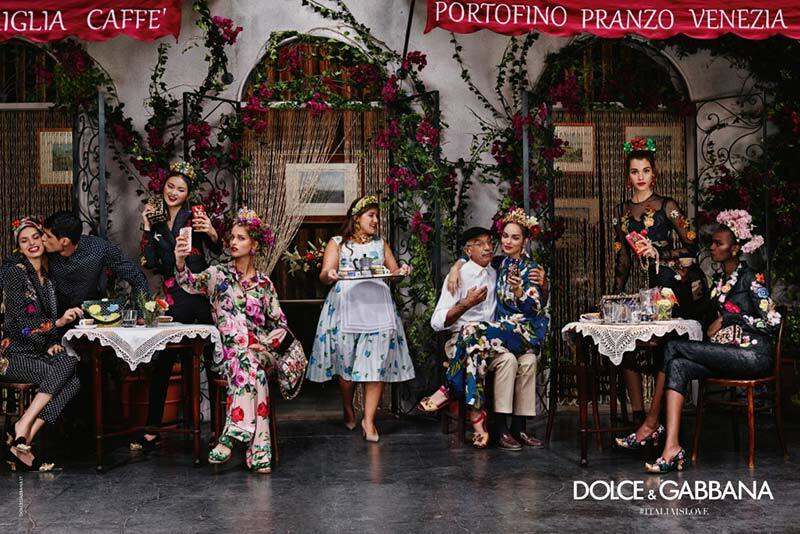 An Italian village in summer, past and contemporary pursuits are the backdrop of the Dolce&Gabbana Summer 2016 campaign. 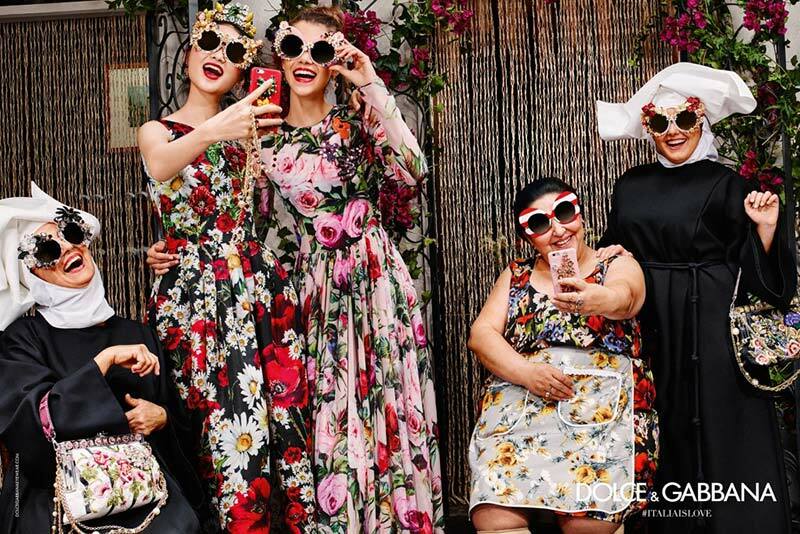 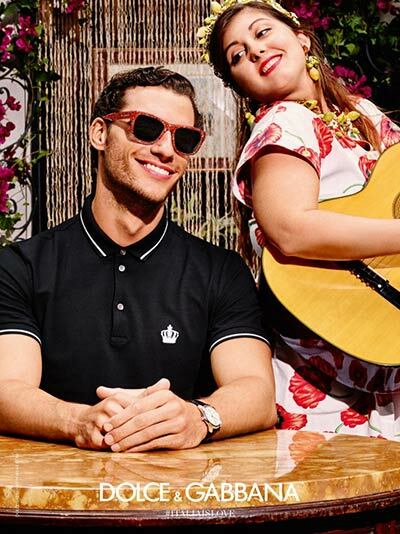 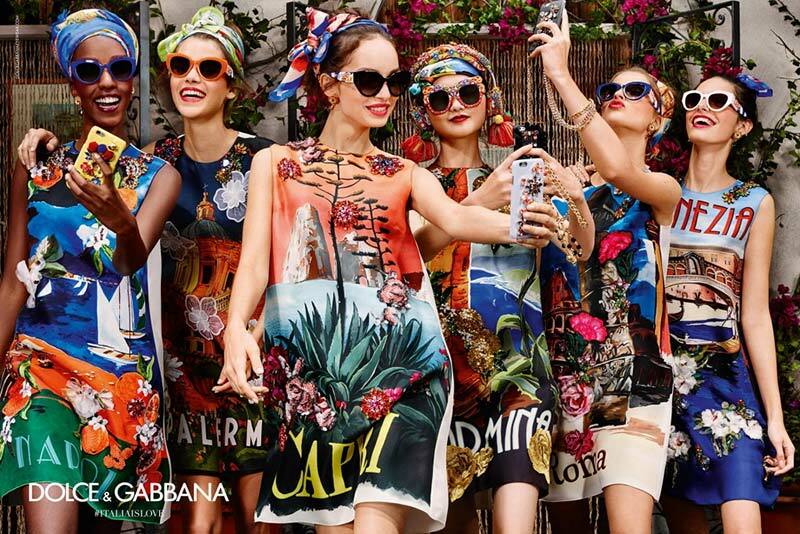 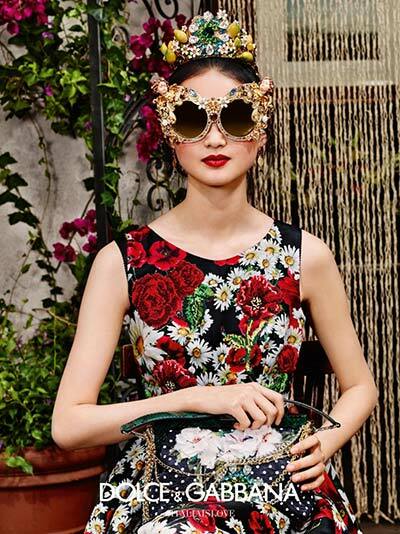 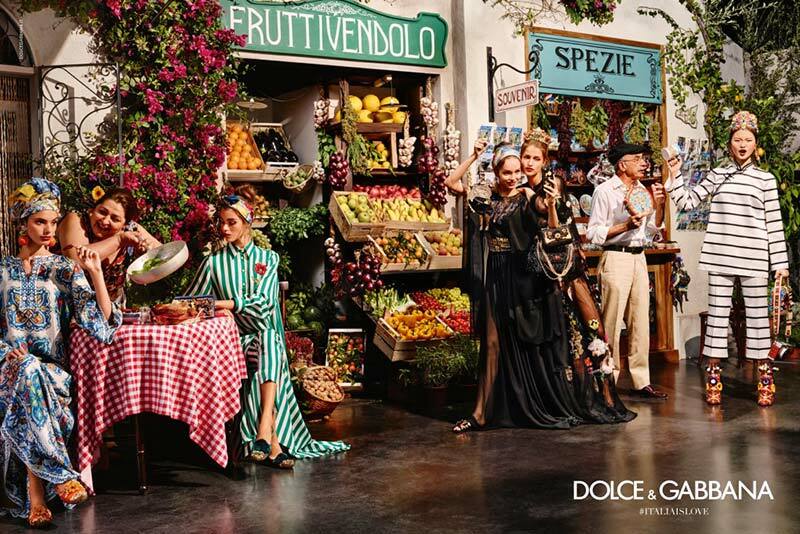 The Dolce&Gabbana Summer 2016 advertising campaign tells a simple story: fruit stalls, small shops, spaghetti, coffee, family, sunshine, summer. 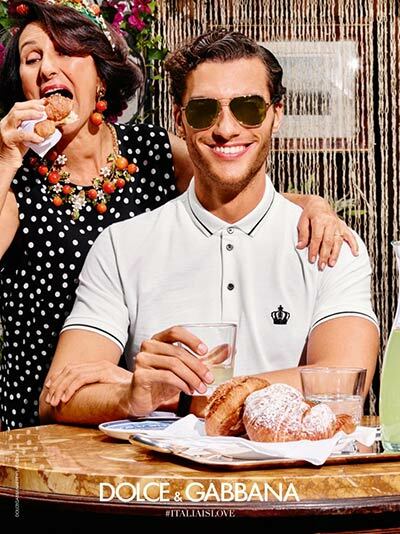 In one word, Italy. 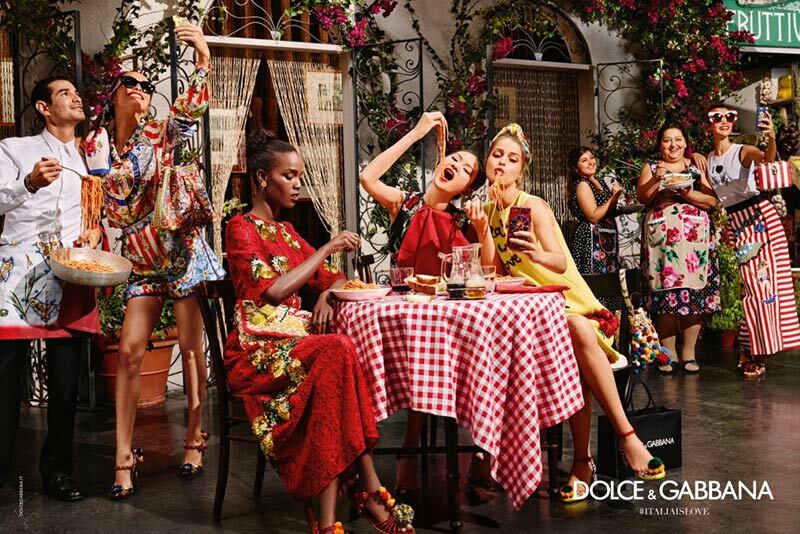 The inspiration of the fashion show and the advertising is life in Italy, the fanciful, positive life, made of genuinity: food, history, love. 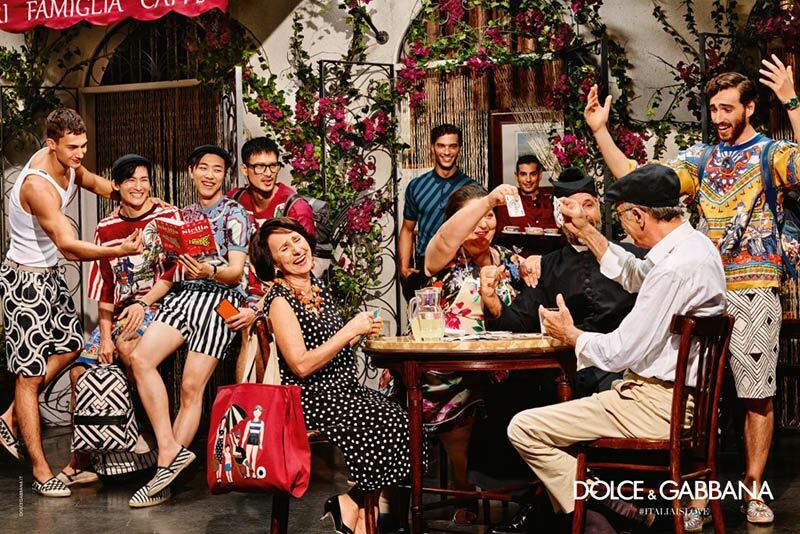 It is in this genuinity where we see locals and tourists come together, those who know the Italian life and those who want to embrace it feast together, chat, have fun and take selfies as tokens of their vacation and the new people they meet. 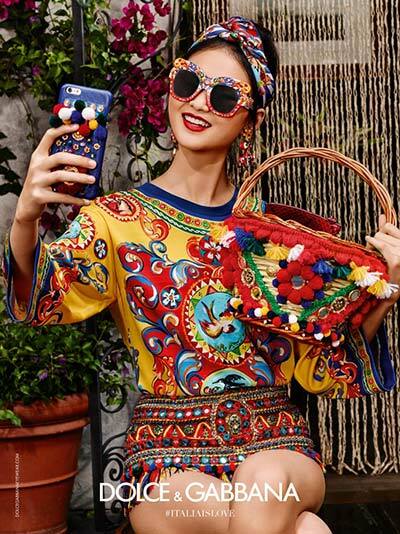 Tourists take in the sights and smells of Italy, but also the culture and the traditions which imbue the country’s heritage with a unique quality: Italian spirit.